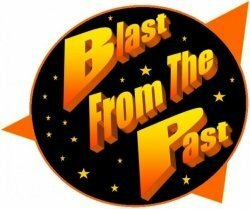 Can you remember Brendon Fraser from the movie, "Blast from the Past"? Or how about "Back to the Future," or maybe just the big hairstyles that need AquaNet hairspray to get that way? Holly Hobbie, 8-track tapes, clogs, Tiny Chiclets and the Monkees can be added to our list too, right? How far we've come! Well, this weekend is going to be exciting as we reminisce while taking classes and showing off past projects. Retreat cost is $20 per class or $120 for the full retreat (which includes lunches and 6 classes) plus a signup fee of $10 (nonrefundable). Lunches will be available for purchase at $8. Class cancellations are nonrefundable Please call our store to sign up!! Registration is not available online.after January 31st. Please call our store to register! !